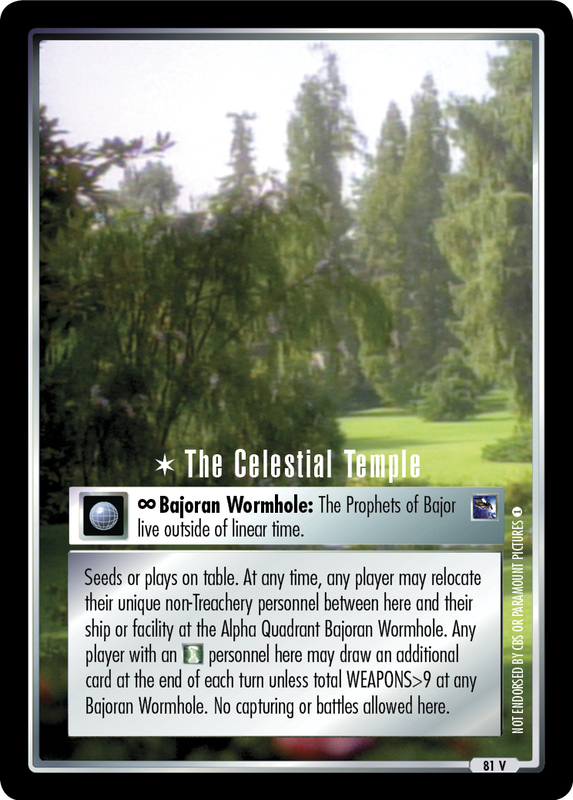 Requires two Bajoran Wormhole cards; each inserts into a spaceline to create a location (span 1). 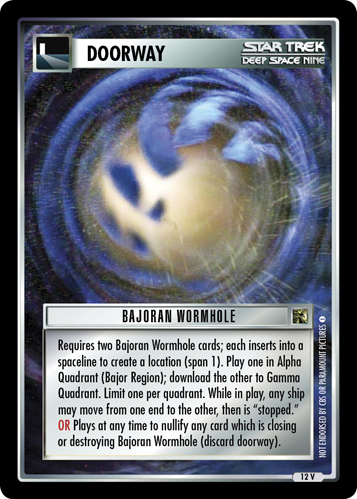 Play one in Alpha Quadrant (Bajor Region); download the other to Gamma Quadrant. Limit one per quadrant. While in play, any ship may move from one end to the other, then is "stopped." 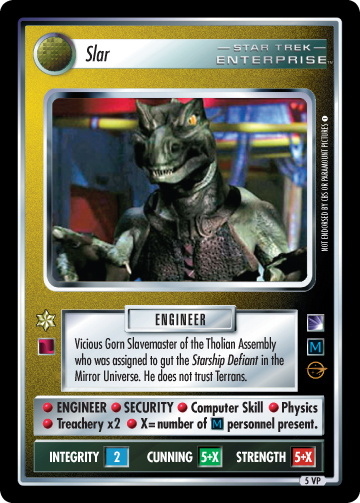 OR Plays at any time to nullify any card which is closing or destroying Bajoran Wormhole (discard doorway).